※ Please obey the following when you ride on the boat. ・Please make sure to apply in advance of boating. ・Please do not throw away cans and trash to protect nature. ・Please do not do dangerous act on board. ・Please do not go out of bounds. Ｔhe lake of Tsubayama Dam was opened in November.1995. 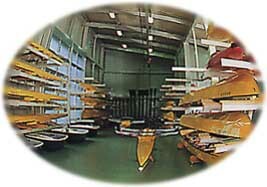 The competition course is the only one course in Wakayama Prefecture approved by Japanese Boating Association. It was used for a preliminary for the National Athletic Meet and boating competition in addition to used for exercise and a training camp. There are shower rooms, lavatories, and locker rooms, for use in the lake center. The adjacent park has a small stream, artificial pond and water fall, where you can exchange ideas with people from cities and relax. 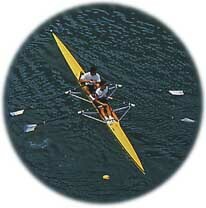 ※ You can not use the boat in the following cases. ・When a dam performs gate discharge. ・When there is a heavy rain warning, flood warning or dense fog warning in the North region of Wakayama Prefecture. ・When there is not enough supervision on the lake. ・When there is a problem of dam control. ・If you do not obey the rules of the lake.